Raffaello Sanzio was one of the best artists of the Renaissance, working in the same period of Da Vinci and Michelangelo. One of Raffaello’s most famous paintings, “Madonna Sistina” features two little cherubs that have become quite famous in their own right, appearing on all sorts of modern day items. According to a 1912 article in Fra Magazine, when Raffaello was painting the Madonna, the children of his model would come in to watch. Struck by their posture as they did, the story goes, he added them to the painting exactly as he saw them— two pensive cherubs. 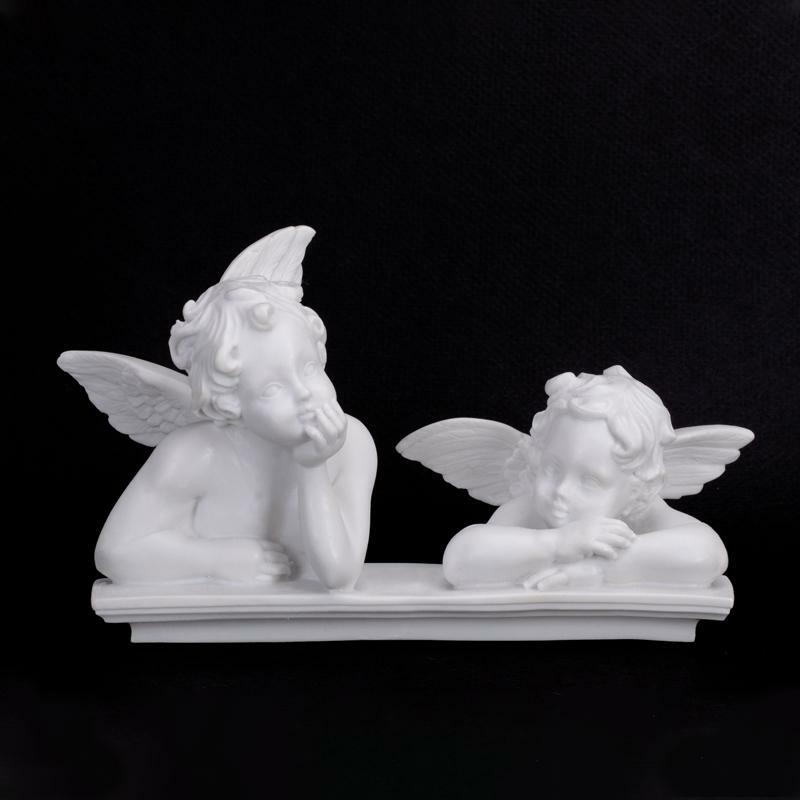 Our Italian artisan has captured Raffaello’s Cherubini in reconstituted Cararra marble–– this marble comes from the same quarry that Michelangelo used to create his famous David statue. An elegant way to bring timeless beauty to your home, uniting centuries old craftsmanship with the timeless beauty of Italian Renaissance art.